The Ghan is one of the worlds great rail journeys. 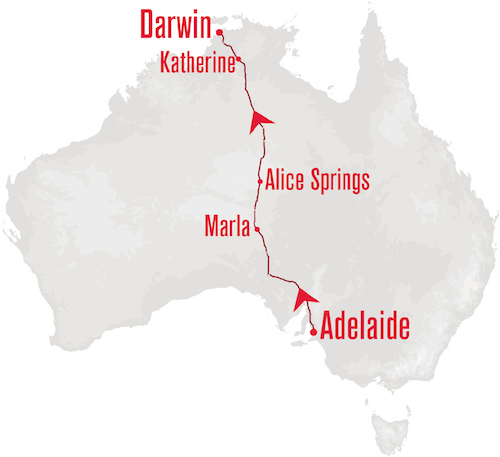 It travels the 2,979kms from Adelaide through Alice Springs to Darwin. The Ghan departs Adelaide weekly on Sunday at 12.15pm and also Wednesday at 12.10pm from June to August. Transfer from Darwin Station to Darwin select CBD hotels are included, transfers to Adelaide Parklands Terminal are included for Platinum Service but not for Gold Service.